Both of these statements are true and while I like to think that I do more than just treat patients with whiplash, headaches, neck pain, and back pain, these injuries do constitute the majority of the injuries that I see day to day. One of the areas that often gets overlooked as a cause of lower back pain following Baltimore auto accidents are the sacroiliac joints, or SI joints. These are joints that serve to attach the pelvis to the sacrum. As viewed from behind, these are often noted as the “low back dimples” and you can see them on yourself if you look in a mirror. I was trying to find some pictures to post on this blog but the vast majority of them are NSFW (not safe for work). Rear end automobile crashes of only 15 mph can subject the sacroiliac joints (SI joints) to over 7000 N of force (nearly 1600 pounds of force). Despite being relatively stable joints with a lot of ligaments to hold them in place, there can be enough force with only a moderate impact to sprain these joints or even to tear a ligament entirely. (See page 118 of Dr. Croft’s Book: “Whiplash and Mild Traumatic Injuries, A Guide for Patients and Practitioners”). If you click this link you can see just how many supportive ligaments serve to anchor the pelvis and the sacrum together. Typically speaking these injuries are not that hard to diagnose. Patients who are able to point directly to one or both of their SI joints as a site of pain are usually good at describing the type of discomfort they are experiencing. Where these injuries usually go undiagnosed is in ER or Urgent Care facilities where “nothing is wrong on x-ray” and where the patient is able to ambulate into and out of the facility. A thorough history as well as a proper understanding of the forces resulting from a rear-end auto accident can usually lead the treating provider to an appropriate diagnosis. In future blog posts I will talk about the other signs and symptoms of SI joint dysfunction as well as the appropriate treatment of such a condition. In the meantime, if you, or someone you know, has lower back pain from a Baltimore auto accident and you want to get an opinion as to the best way to care for it, please contact Mid-Atlantic Spinal Rehab & Chiropractic at (443) 842-5500. We would be glad to help! As a Baltimore Chiropractor that spends the majority of my time treating patients with whiplash presenting with headaches, neck pain, and back pain following Baltimore auto accidents (Baltimore car accidents), I spend a lot of time assessing acute injuries, particularly in the neck. One of the tools that I use to grade the severity of an injury is an x-ray. Often patients appear frustrated when I tell them that I need to take x-ray films because they like to say “there’s no way anything is broken.” In some cases, these patients have been to a hospital and a doctor tells them that they don’t need x-rays. While it is true that the vast majority of x-rays do not reveal fractures or dislocations (or any other abnormalities that would otherwise contra-indicate chiropractic spinal manipulation), there are some instances where fractures can be seen on x-ray following a Baltimore auto accident in a patient presenting with whiplash. The first type of vertebral fracture is called a clay shoveler’s fracture. Usually this occurs at the base of the neck, around C6 or C7. This is a small fracture of the tip of the spinous process when the head “whips” back suddenly and smashes into the vertebrae below it. It was originally named for (as you might have guessed) people who shoveled clay for a living who developed these lesions while working. Needless to say these spinal levels should not undergo chiropractic manipulation, but instead, referred to an orthopedist for treatment recommendations. The second type of vertebral fracture is called an end plate fracture. These are typically harder to find on an x-ray, and often require other forms of advanced imaging such as MRI to properly diagnose. These type of fracture is important for two reasons. Firstly, the fracture itself can be painful and can be the main cause of a patients neck pain. 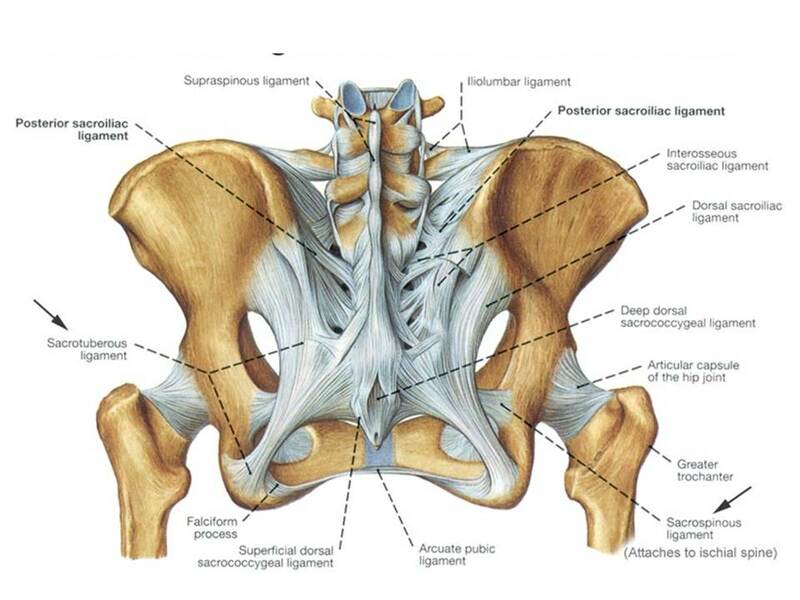 Secondly, the end plate is a structure that serves to help supply blood and nutrients to the intervertebral discs. Once fractured, the endplate has been shown to decrease its blood supply to a given disc due to scar tissue formation, and thus accelerate the degenerative process of the disc. In addition to pain, these types of injuries cause a vertical height decrease in that spinal level, and the neck as a whole, which can lead to a myriad of problems above and below the level of the lesion. While it is true that cervical spine fractures are rare following Baltimore auto accidents and are not commonly seen in Baltimore whiplash patients, it is prudent of the health care provider to make sure that it is safe to proceed with treatment prior to beginning therapy. Often hospitals do not see the need to take x-rays, but by not taking films, they miss important diagnoses and patients can suffer longer than needed with undiagnosed neck fractures. If you, or someone you know, has been injured in a Baltimore auto accident and have neck pain following whiplash, please contact Mid-Atlantic Spinal Rehab & Chiropractic at (443) 842-5500. We would be happy to help! As a Baltimore Chiropractor that treats patients with headaches, neck pain, back pain and muscle pain, usually stemming from Baltimore auto accidents and Baltimore worker’s compensation injuries I see many patients who are taking too many medications. While there is certainly a time and place for medications, I find that many patients are either knowingly or unknowingly taking too much medicine to treat their pain and this can have serious adverse health effects. The two most common forms of medications that I see being over used are opioid medications and acetaminophen. Opioid medications are drugs such as oxycontin, hydrocodone, percocet, and vicodin. These are prescription narcotics that can help with pain. Originally these drugs were designed to treat patients recovering from surgeries or who suffer from debilitating pain such as cancer patients. Now, many of my Baltimore auto accident and Baltimore whiplash patients with acute injuries are taking these pain medications, as prescribed to them by local emergency rooms and family doctors. While it is not my place to say which medications a patient should or should not be taking when they are under appropriate medical care, it is startling to me how many of these patients assume that these medications are “safe” just because they have been prescribed by a doctor. Many of these opioid medications are highly addictive (in some cases, more so than heroin!) and patients generally have to continue to up their doses just to get the desired level of pain relief. Opioid use has skyrocketed in the past decade and now hydrocodone based opioids are among the most commonly precribed medications in the U.S. Some 46 people per day (approximately 17,000 per year) die from complications associated with these medications. Nearly 30 people a day are admitted to the emergency room or local hospitals for complications associated with opioid usage. Unfortunately opioids are not the only dangerous type of medication. Acetaminophen (Tylenol) is largely overused in this country as well. Due to its ubiquity in every drug store and medicine cabinet across the country many people believe that acetaminophen use is safe. In small doses it absolutely is. However, there is such a wide variety in terms of the dose per pill and the recommended daily allowance that it is hard to know how much acetaminophen is “too much”, leading to surprise overdoses. Depending on the bottle that you read, some bottles of acetaminophen recommend not exceeding 4000 mg per day. Others recommend no more than 2400 mg/day. While you may think that the FDA would streamline what the maximum allowable dose should be, it is astonishing how many different guidelines are out there. Additionally, some pills offer 200 mg per pill, others 325 mg, and others 800 mg. With all of these different dosages it is hard to remember how much has been taken and how many should be taken maximally in a 24 hour period. Patients who knowingly or unknowingly take too much acetaminophen can develop liver damage, liver failure, dark urine, pale stools, abdominal pain, and jaundice (a yellowing of the sclera of the eye). To further complicate matters some of the opioid based medications are actually coated with acetaminophen to help with pain. Therefore patients who are taking opioids and acetaminophen for pain can easily exceed the maximum daily dosage of acetaminophen and can be feeling better from their pain but poisoning their livers unknowingly. No matter the cause of a patients neck pain, back pain, or muscle soreness, the key to feeling better is staying physically active. Yoga, physical therapy, massage, acupuncture and chiropractic care have all been shown to demonstrate improvement in these conditions without the use of drugs. Again, while I am by no means against the appropriate use of drugs, I just wanted to point out how dangerous inappropriate use of these drugs can be. If you, or someone you know, is consuming opioid medications or acetaminophen in excess to deal with headaches, neck pain, back pain, or muscle soreness please have them contact their primary care provider so that they can make sure that they are not accidentally taking too much medication. Then, please contact Mid-Atlantic Spinal Rehab & Chiropractic at (443) 842-5500 to schedule an appointment for chiropractic treatment. We would be glad to help!